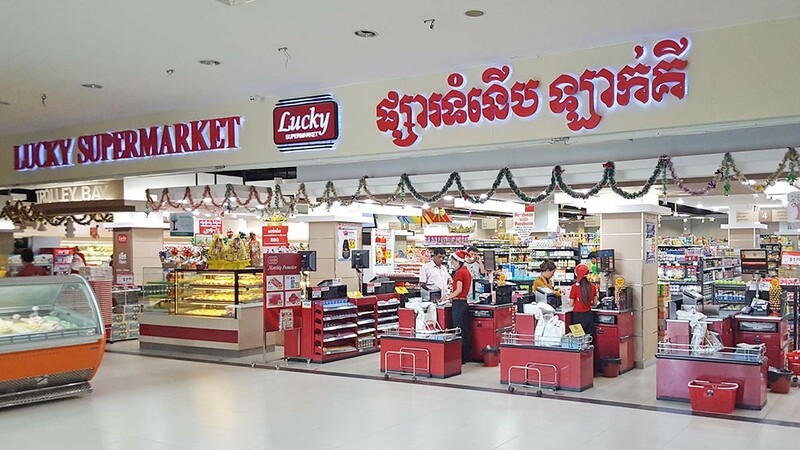 Lucky Market’s Siem Reap branch is conveniently located inside Lucky Mall on Sivatha Road. Parking space for cars is available in the underground car park, motorbikes can be parked on the parking space on the left hand side of Lucky Mall. Lucky Market offers consumers a wide range of local and imported brands such as Waitrose from United Kingdom and Casino from France.